Nexstar Media Group has agreed to purchase Tribune Media for $6.4 billion, a deal making it the largest broadcast operation in the U.S. The acquisition comes just four months after the Federal Communications Commission (FCC) rejected Sinclair Broadcasting’s bid to acquire Tribune. The agency rejected the merger on technical grounds, citing objections to the deal’s structure. The Sinclair deal also drew opposition from a number of consumer groups that said it concentrated too much media power within one company. It remains to be seen if the Nexstar-Tribune deal draws the same objections. Tribune Media owns 42 TV stations reaching approximately 50 million households. They would join Nexstar’s 174 stations, giving it an exceptionally large broadcast footprint. According to Nexstar, the combined companies would reach 39 percent of U.S. households. Nexstar CEO Perry Sook says the merger would increase his company’s audience reach by 50 percent. “Furthermore, the addition of the Tribune Media broadcast assets further expands our geographic diversity, as pro forma for the completion of the transaction, we will serve 18 of the nation’s top 25 markets and 37 of the top 50 markets,” Sook said. If the deal is approved it would give Nexstar the largest number of TV stations in the U.S., surpassing Sinclair’s 194. 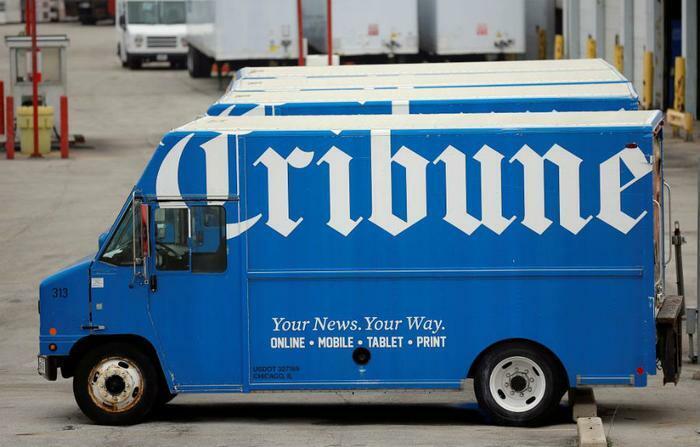 Tribune Media has been seeking a buyer since 2012, when it emerged from bankruptcy. It sold off its newspaper assets in 2014. Based in Chicago, Tribune not only owns TV stations but also cable network WGN America, which reaches 77 million households. It also owns several web-based media operations. The deal could face the same kind of grassroots opposition that lined up against the Sinclair bid. The ACLU, American Cable Association, and Communications Workers of America opposed Sinclair’s attempt to buy Tribune, insisting that Sinclair’s conservative edge was not the reason. Rather, the group said it was too many stations for one company to own. Under current regulations there is no numerical limit on the number of stations one company may own, although the FCC will consider potential overlap in individual markets when two broadcasters merge. Under the Communications Act of 1934, broadcasters could not own more than seven stations and they could not own more than one station in a single market. That stipulation fell by the wayside as broadcasting began to be deregulated in 1982.